Since establishing his practice in 1990, Kengo Kuma has brought contemporary vigor to Japan's already rich modern architectural heritage and developed projects far beyond his native country. Influenced by a period at Columbia University in New York and by the lessons of his mentor, Hiroshi Hara, Kuma has forged his own pared-back language: responsive to local nature and traditional construction, entirely contemporary in its execution, yet rooted in a Japanese sensibility. The experience of his buildings is hypnotic and highly sensory. Much of this powerful effect is achieved by Kuma's deft, sometimes dramatic, use of materials. Projects in the past five years alone include two museums in France, landscape projects in Italy, hotels and large- scale retail and commercial projects in China, and numerous projects in Japan, including a kindergarten. 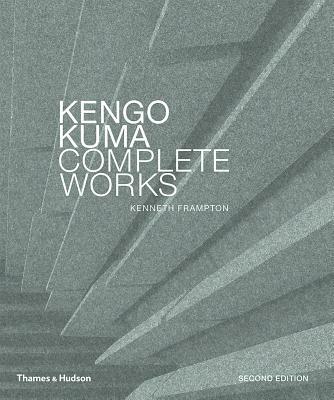 Published to coincide with the opening of Kuma's new Victoria & Albert Museum in Dundee, Scotland, with the architect's direct involvement, this volume, expanded to include five new projects, offers unparalleled insight into the mind of one of the great architects of the twenty-first century.